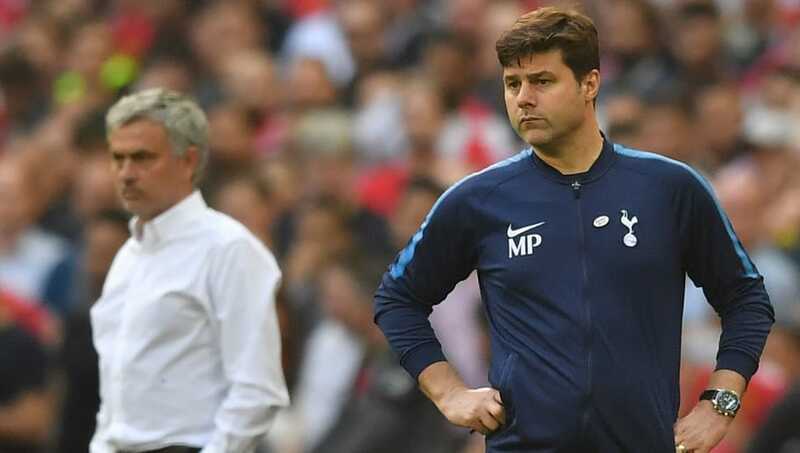 Mauricio Pochettino has prompted worry amongst some Tottenham supporters with the way he spoke ​after Saturday's disappointing FA Cup semi-final defeat to Manchester United. Spurs went ahead in the match through Dele Alli, but were pegged back by Alexis Sanchez before Ander Herrera's second half winner to send the Red Devils through to another cup final under Jose Mourinho. For the north Londoners it's yet another chance of winning a trophy gone and the jibes about that were in full flow after the final whistle. And the mood was not helped when Pochettino gave his post-match assessment of the club's situation. He said, as quoted by the ​Evening Standard: "​Tottenham need more time, of course with me or another, but I think it's so important to keep going, focusing on working and developing that philosophy which is fantastic for the club. "Of course we are in a process to arrive to the semi-final and be competitive in the Champions League and competitive in the ​Premier League, fighting for the top four. "I think it's not enough because everyone feels that we are close, we are close, we are close, but it's still nearly no? Nearly to touch. But I think it's the only way to reach this last level, to not only compete but to win." Some people took issue with the fact that he implied 'another' individual could come in and take the club forward, and that it is perhaps the first sign his commitment to the club is waning amid speculation ​Real Madrid want to land him this summer.